Tons of songs available to mix to your heart's content, and the ability to easily share your creations with your friends. Be prepared for expensive in-app purchases. Doesn't work well with 4th generation devices. Ultimately, Beamz by Flo is an app that takes your favorite songs and gives you the opportunity to customize them however you like. With loads of songs available and a dozen features that can be added to each one, you’ll likely drop hours into mixing it how you like it. That being said, the game itself is more expensive than most apps, and the song packs have a hefty price tag as well, which may price some music hounds out before they even start. Still, you get a lot of musical bang for your buck if you’re willing to drop some dimes. Beamz by Flo puts the music in your hands as you mix and shred your way to some awesome creations starring your favorite artists – and you. Beamz by Flo is the latest entry into the musical game genre. More of a mixer than a game per se, it gives you control over some truly rocking tunes by your favorite artists – the biggest being rapper Flo Rida. 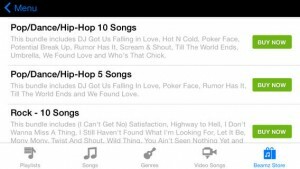 The game comes with twenty-seven songs to start you off (and the option to purchase many more, in a variety of genres that include original songs just for the app). 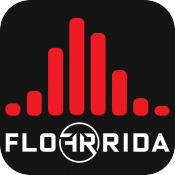 Of those twenty-seven, thirteen are Flo Rida songs, and five of those even include the music video, which you can play in full screen if you just want to jam, or as a small window in the mixer portion of the app. The songs – which include a nice variety from classical favorites to current hip hop and pop favorites – are a great feature, but the real draw of the app is the ability to mix up those songs however you like. You are limited to twelve features to use with each song, but they vary based on each selection. 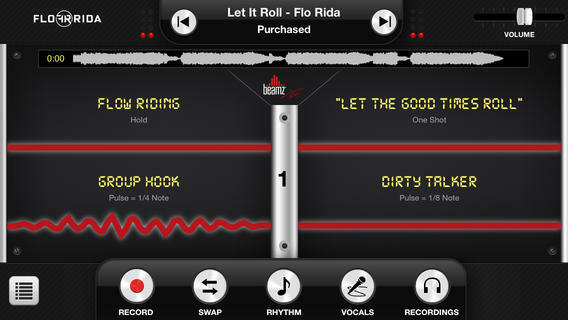 In some songs, you may be able to use record scratches or drum beats, while others might feature beatboxing or words. The way it works is quite simple. You simply select a song and begin to play it. From there, you can choose to hear the rhythm, the vocals, or both. The mixing features available show up as four streams covering the middle of the screen. Simply tap or swipe to add those to the song, any way you like. The way it is set up means that only four features show up at a time, with you switching back and forth between three pages to access them all. I would have liked to see them all together, but a simple tap brings up the other pages, and setting it up this way cuts down on accidental mixing by keeping them nicely separated. While each of the selections available for each song is pretty well suited, it would have been nice to be able to select which features are available each time you record from a central list, as that would give you a lot more control over the end products. Mixing the songs is a lot of fun, and once you get good at it you can take it to the next step – recording your own masterpieces. You can select record at any time to preserve your creations as you go along, and you can easily email those to your friends and fans, right from the app, and go back and listen to them whenever you like. Even with nearly thirty songs available right from the start, you’ll quickly get tired of those songs if you put any amount of time into the app. Thankfully, there’s a robust song store available already with more being added in the future for those willing to drop some cash on more music. There’s everything from Carrie Underwood and Taylor Swift to Rihanna and Coldplay, but the song packs start at $9.99 and go up from there, so be prepared for hefty in-app purchase bills.